This week I have a case of developmentally missing teeth (oligodontia) along with the last educational video in my library (to date). 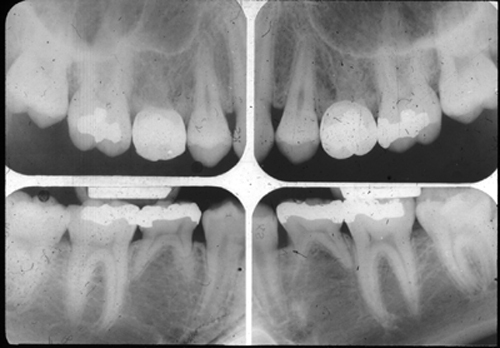 🙂 This case shows all four second premolars did not develop with retained primary second molars. And for the last of this years educational videos on oligodontia by Dental Class of 2015 student David Perry. If you have any questions or comments about oligodontia, please leave them below. Thanks and enjoy!